Ser Janos Slynt was of lowborn status until he climbed the ranks of King’s Landing, mostly through deceit and corruption. He served as a soldier of the City Watch — the army tasked with protecting King’s Landing against any outside threats. Eventually, he was appointed as Commander of the City Watch, overseeing all other soldiers. He used this position to accept bribes and engage in other acts of corruption. After Ned Stark decided to come forth with the truth of Joffrey’s illegitimate claim to the throne, he turned to Littlefinger to secure the allegiance of the City Watch. However, after Ned declared the truth of Joffrey, it was Janos Slynt, leader of the City Watch, that led the massacre of Ned’s man, before arresting Ned himself. Later, when Tyrion arrived to King’s Landing as hand to the king, he disposed Slynt of his position and sent him to the Wall to serve on the Night’s Watch. 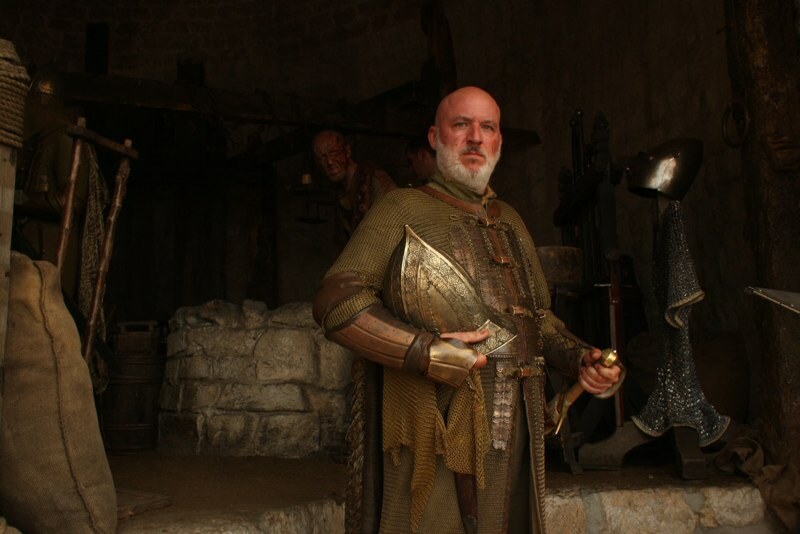 This entry was posted in Characters and tagged janos slynt, ser janos slynt, slynt. Bookmark the permalink.